This trainer comes with a 10 speed Shimano cassette. The CycleOps Silencer direct-drive turbo trainer also comes without this cassette (approx. £100 cheaper). The CycleOps Silencer Direct Drive Mag Turbo Trainer is CycleOps’ only trainer that does not use a standard resistance brake on which your bikes back wheel rotates against. 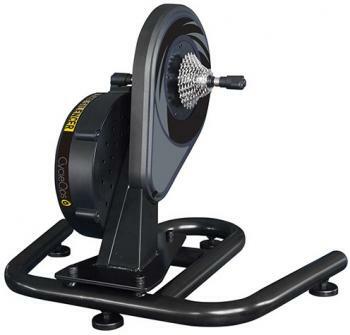 In fact, this type of turbo trainer is rare but certainly offers advantages over traditional trainers. The CycleOps Silencer Direct Drive Mag turbo trainer requires you to take off the back wheel of your bike and connect your bike directly to the trainer. 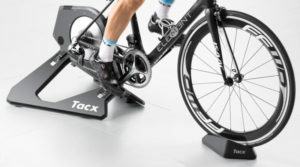 This direct-drive technology makes the cycle trainer very quiet because there is no friction noises that come from the bike wheel rotating against the trainer brake. This also has the advantage of stopping your back wheel wearing, which is a concern with traditional trainers. The Silencer Direct Drive Mag trainer uses a magnetic brake with 5 resistance levels. The resistance is controlled via a handlebar mounted lever meaning you do not have to leave your saddle to modify the resistance level.